Ships tomorrow if you order in the next 22 hours 35 minutes. Alpha lipoic acid is a substance found and made naturally in your body. It functions as an antioxidant and helps to keep you protected against possible damage from oxidative stress and roaming free radicals. ALA is produced at a higher level when you're younger, and begins to decline with age. If you've been searching for a way to boost your ALA levels, Progressive Laboratories may be able to help. 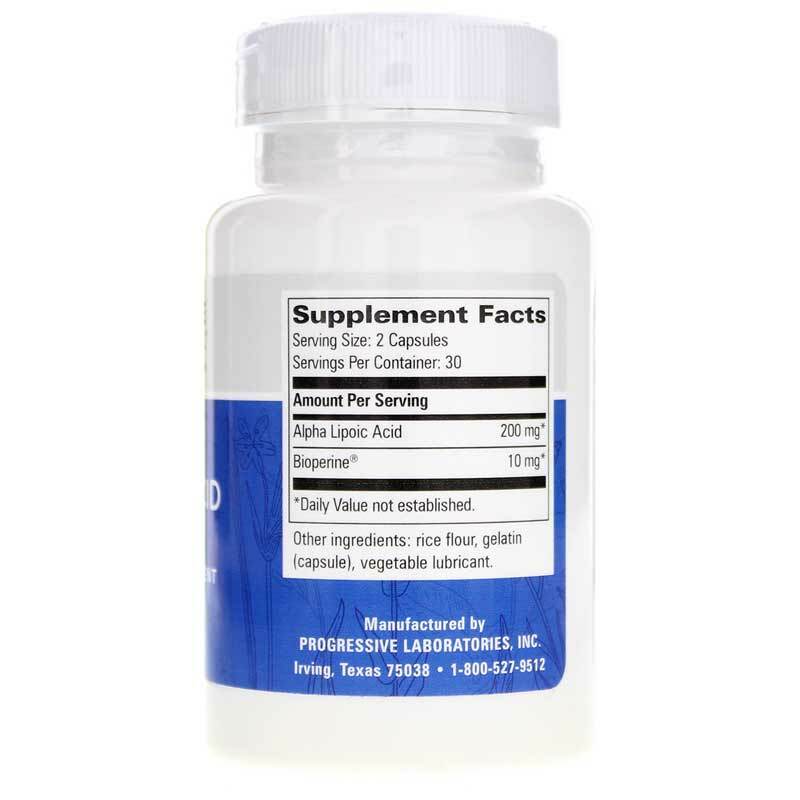 Alpha Lipoic Acid is a professional-grade dietary supplement for daily use that provides antioxidant protection and supports optimal health down to the cellular level. ALA is a water and fat-soluble vitamin-like substance that helps get rid of free radicals in and outside of your cells for optimal overall health support. Take care of your health all the way down to the cellular level. 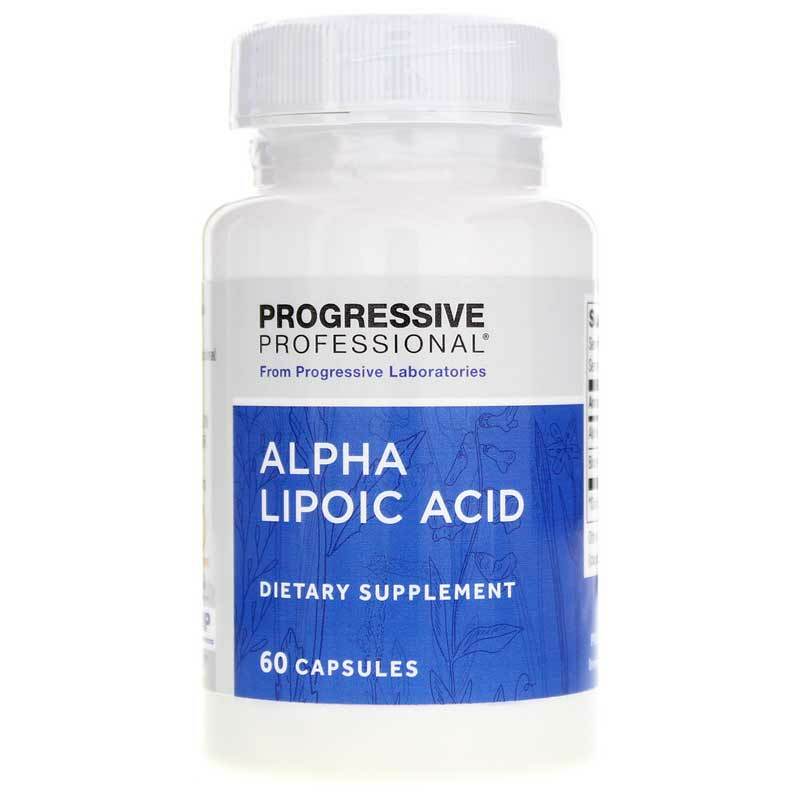 Give Alpha Lipoic Acid from Progressive Laboratories a try today, and see the difference it may be able to make for you. Order now! 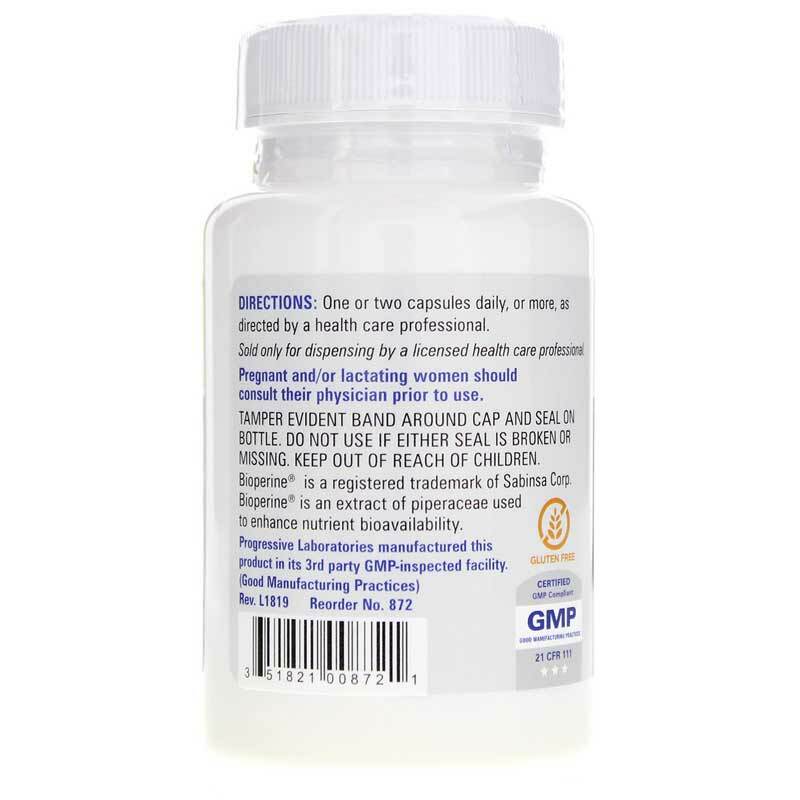 Adults: One or two capsules daily, or more, as directed by a doctor.